There have been some incredible advances in solar power technology over the years, ranging from simple solar panels to solar-thermal power and more efficient panels. But NASA scientists believe the next step in maximizing sun-based energy will come from satellites that would beam harvested solar power down to Earth. 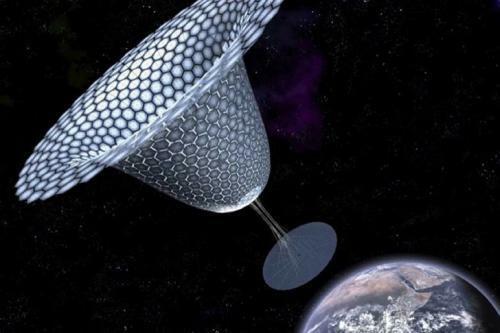 The idea is to use a satellite with an array of mirrors to collect energy from the Sun and send it back to Earth via a Microwave beam. 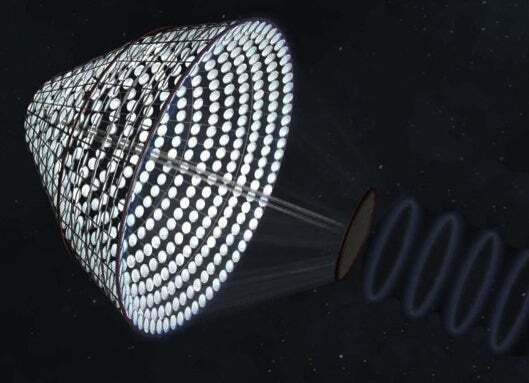 It might sound like another crazy death ray beam to us, but NASA thinks that it’s realistic enough that they’ve funded the Artemis Innovation Management Solutions group to develop its Solar Power Satellite via Arbitrarily Large PHased Array (SPS-ALPHA). The array will feature a modular, tulip shaped satellite equipped with thin-film mirrors to reflect sunlight into photovoltaic cells. The collected solar energy will be converted into microwaves that will then be transmitted back to a receiving station on Earth at a low frequency and intensity. NASA has been looking into satellite energy-beaming concepts for some time, but none have been as promising as SPS-ALPHA. The project was originally proposed last summer, and John Mankins, a former NASA engineer now with the Artemis group, further detailed the array plans at the 2012 NASA Innovative Advanced Concepts meeting at the end of last March. Now the group has garnered enough interest to receive some NASA seed funding that will allow the Artemis group to determine the conceptual feasibility of SPS-ALPHA.